What network do Amaysim, Vaya, Lebara and other smaller phone companies use? The Australian mobile phone scene is dominated by three major companies as everyone knows – Optus, Telstra and Vodafone. They’ve spent the billions of dollars required to develop the country’s mobile / cellular networks. Each of these huge companies owns one – they own the towers, masts and other infrastructure we call a phone network. Each continues to invest heavily in maintaining and improving this network. Just the maintenance is expensive. There are other costs on top. In particular, improvements including those involved in spreading network upgrades like the advanced 4G network coverage across the country don’t come cheap. The big three companies retain the patronage of the majority of Australia’s phone users. But that’s a fact that is gradually changing. More people are discovering the advantages of choosing SIM-only plans from one of the country’s smaller phone companies. The marketing budgets of these smaller phone companies are not a patch on the big boys’. Even so, you might recognise some of these smaller networks from signs in your corner shop – Lebara Mobile for example with their distinct blue colouring is prevalent around the world and in a multicultural society like Australia, have found a niche to serve well. Others, like Amaysim or Boost Mobile have made some investments in above the line marketing and have become recognisable in the last few years. Many, however, of these small companies you are likely to have never heard of. In this article, we explain why it might be worth looking beyond the brands you know for a better phone deal. There is no risk involved ( most of these are prepaid providers so you can try them, their network and their customer service out for a few bucks ) and there are some great deals out there. Whether you choose Optus, Vodafone or Telstra, the proportion of the population covered by their 3G and 4G networks is within one or two percent of each other these days. Unless you live in the wilds of Australia, you can choose any of these networks and independent research says you’ll get a signal which is about as strong and for about the same proportion of the time as a Telstra customer. And remember, if you buy from Bendigo Mobile, who use the Optus network or Optus themselves, you get exactly the same network. The providers we recommend have month to month or prepaid agreements. That means you can try them without risking the farm. Give them a go and if it doesn’t work for you then try someone new. Increasingly, these smaller phone companies include segment focused entertainment options within their plans. Mostly the data for these entertainment inclusions are not counted against the data in your plan. OVO Mobile, for example have Australian Drag Racing videos, Australian Gymnastics and other value added inclusions. Yomojo are a great example of a small phone company which gives you a great deal on data. 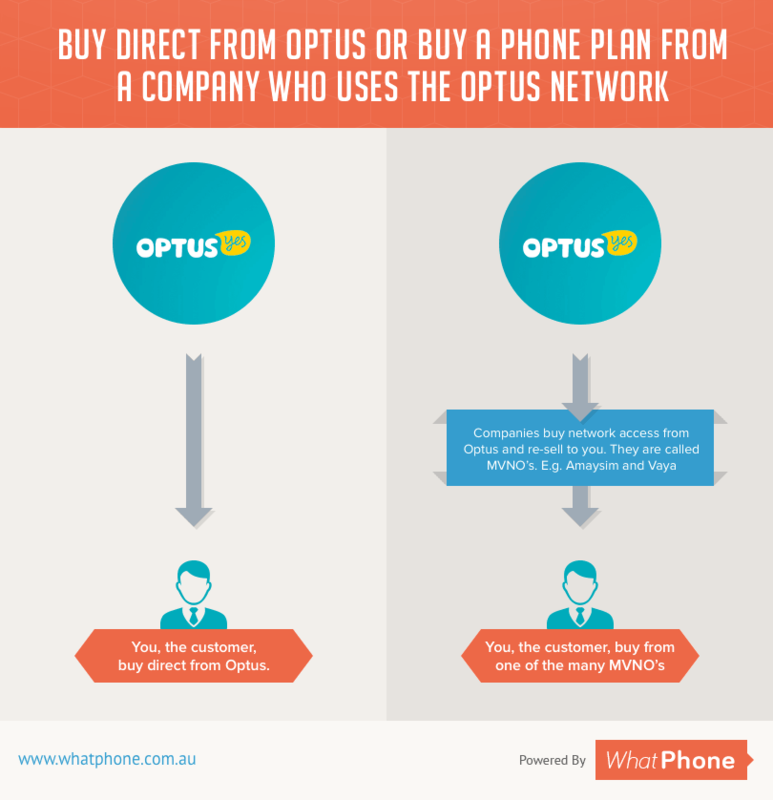 Yomojo use the Optus 4G network and provide more data at each price point than any of their competitors. In effect, MVNOs piggyback the bigger companies networks. That means MVNOS avoid all those network maintenance costs. And that means their costs are lower so you get a better deal. You might think that the larger the phone company, the better the deal you can get. After all, don’t big companies have the greatest variety and the cheapest deals? This is true in other sectors like cars or holidays, but the structure of the mobile phone business gives small firms some key advantages. These smaller phone companies are often described as mobile virtual network operators (MVNOs). MVNO is a technical term and it may be a little intimidating. However, like most words, when you understand what it means, you can see the sense. The term MVNO actually, pretty accurately reflects how these companies function. MVNOs don’t set up their own mobile phone network, competing cellular phone networks to those owned by the big three. Instead, they reach an arrangement with one or more of the major network owners. They lease access to their network in bulk and resell it to you at discount rates. Their network is virtual, a layer on top of the physical infrastructure offered by the big three. In effect, MVNOs piggyback the bigger companies networks and avoid all those network maintenance / build expenses – which means their costs are lower so you get a better deal. Offer you major SIM Only plan cost savings. All of the smaller phone companies in Australia offer SIM Only plans. From a customers point of view, buying a mobile and plan under contract from a big phone company is much more expensive than buying a phone independently and taking an SIM-Only plan. Most smaller phone companies offer month to month agreements. That means no contracts and that means you can move to a new phone company whenever you want to.If you go to Vodafone, Optus or Telstra, their contracts tie you down to 12 or 24 month periods. If you are dissatisfied with their service you can’t easily move to another company. Since MVNOs operate over the major companies’ cellular networks you get the full benefits of their technologies and national coverage at a cheaper rate. This leaves MVNOs to focus on the way they service their customers. You’re more likely to talk to an Australian when you call Amaysim or CMobile with a problem, for example and awards for the best Australian customer service ( such as Roy Morgan’s ) often go to MVNOs. Amaysim, Vaya, Moose Mobile and others use the Optus 3G and 4G Network. If you choose them, you’ll get exactly the same network speeds and coverage as if you went direct to Optus. How come these deals are cheaper than the main phone companies? Advertising expenses are kept low—they rely on competitive prices to attract customers. They follow a basic business structure centered on a few simple plans. Contrast this with the complex range of plans and special promotions the big phone companies employ. What’s in it for the big phone companies ? You might wonder why the big phone companies allow these smaller phone companies to compete with them on their own networks. The answer, as usual, is on the bottom line of the company accounts. The business these MVNOs bring the bigger companies is worth a great deal. Each of the smaller phone companies focusses on a segment of the market that the bigger phone companies are not capable of targeting. Quite apart from that though, is the regulation that the big companies have to deal with. The Australian government in its many forms ensures that the big phone companies play fair with the spectrum they’ve been given. Spectrum is the frequency band allocation big phone companies are allowed to rent from the government. In exchange for being allowed to use it so we can all make phone calls, those phone companies have to play by the government’s rules. Part of the ‘fair play’ demands is that the market has to stay competitive. And smaller phone companies are a key way that this is enforced. Are there any disadvantages of choosing a smaller phone company? Smaller phone companies get exactly the same network priority as bigger phone companies. 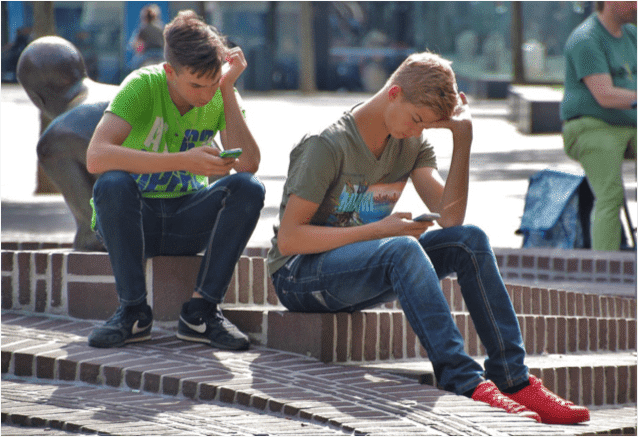 First of all it is important to dismiss what might be described as one of the urban legends of twenty first century telco – the idea that MVNOs customers get an inferior level of network service. That’s absolutely not true, Smaller phone companies get exactly the same network priority as bigger phone companies. With a little thought you soon realise that a cellular network does not discriminate between users any more than an electricity network assigns its direct customers more volts. As we’ve said, the phone companies are heavily regulated by the government with the goal of ensuring a competitive market. Any traffic prioritisation like this would significantly reduce the quality of the offering by smaller phone companies and therefore the competition they offer. It is worth noting that bigger phone companies are hairier marketing machines. MVNOs tend to focus on the bare bones phone plan and attempt to keep it cheap. You won’t find shared family plans yet or Netflix thrown in with your phone plan from a smaller phone company and there will be no loyalty scheme to keep you coming back. Smaller phone companies tend to rely on price and network quality and that’s it. Each of the smaller phone companies works with one or more of the big cellular networks. Any discussion of mobile phone plans is bound to involve mention of 3G and 4G. You might, or might not be interested in all the technical details. The key point to keep in mind is that 4G gives you faster access to mobile data. What do these abbreviations stand for? 3G represents third generation mobile phone technology. Over the last thirty years mobile phones have gone through four generations, and a fifth generation is now in the pipeline. Each generation is faster than the one that preceded it. Can I keep my Mobile Phone Number if I go with one of these MVNOs? This ranks high on the list of most popular questions with people thinking to change their phone company. It can be a real nuisance telling everyone about a change of phone number, and it can lead you to miss important calls from old friends or business contacts. The simple answer is yes – you can keep your existing phone number. The process is called porting. If you port your phone from the network owner to an associate MVNO, for instance from Optus to Amaysim, it couldn’t be easier. Just enter your existing phone number in to the online checkout as you start the porting process and your phone number will show up at your new phone company automatically. Smaller phone companies are a way that the government ensures competition at what’s called the Service Provider level. There are 3 networks and a number of service providers which use those networks to offer a range of pricing and customer support offerings to users. Unfortunately, smaller phone companies can’t afford to spend the same amount on marketing that the bigger phone companies do. Their marketing budgets are simply not big enough. The result is that there are some great deals out there in the market which most people don’t know. We try to expose those deals on this site so you can make the right choice.